In 1963, Lawrence Herbert created Pantone’s Matching System for color consistency in the print and textile industries. 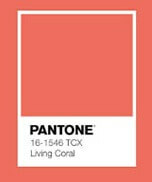 This standardized color system is why “Living Coral” is specifically color #16-1546. Something beautiful happens when you combine coral with kraft. It’s the natural mixed with the sweet. 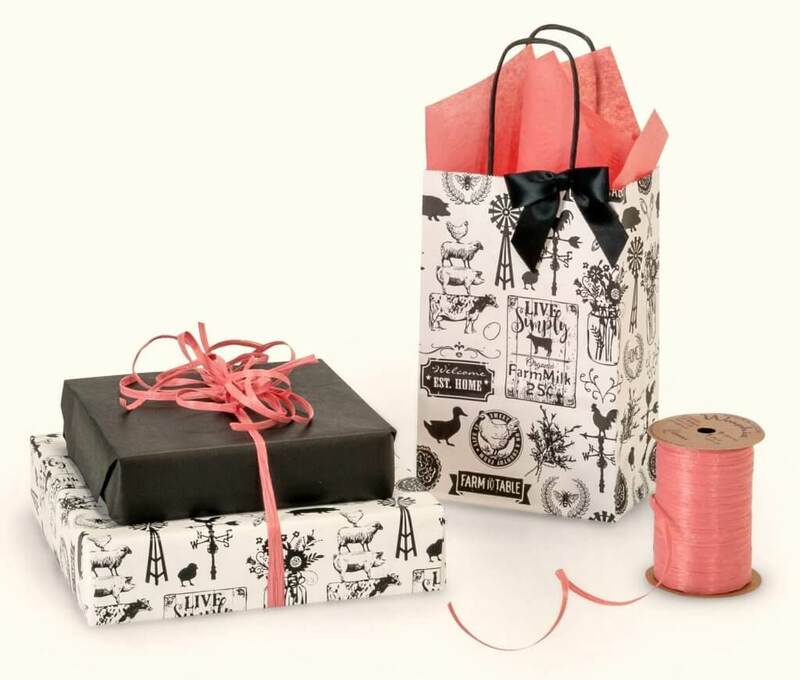 Try adding our Coral Rose tissue paper with your kraft shopping bags for a burst of color. Add raffia ribbon to the handles in coral and white. This color combination works all through summer and looks great for weddings too. 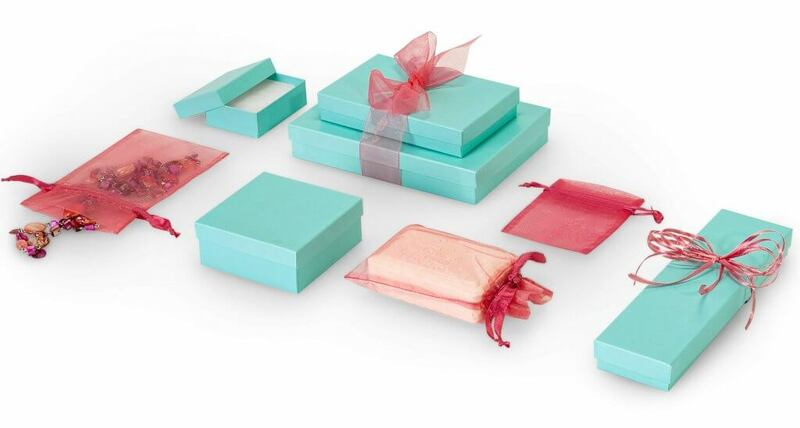 We love the look of kraft jewelry boxes with coral curling ribbon. This fun duo is great for costume jewelry or small gift items. 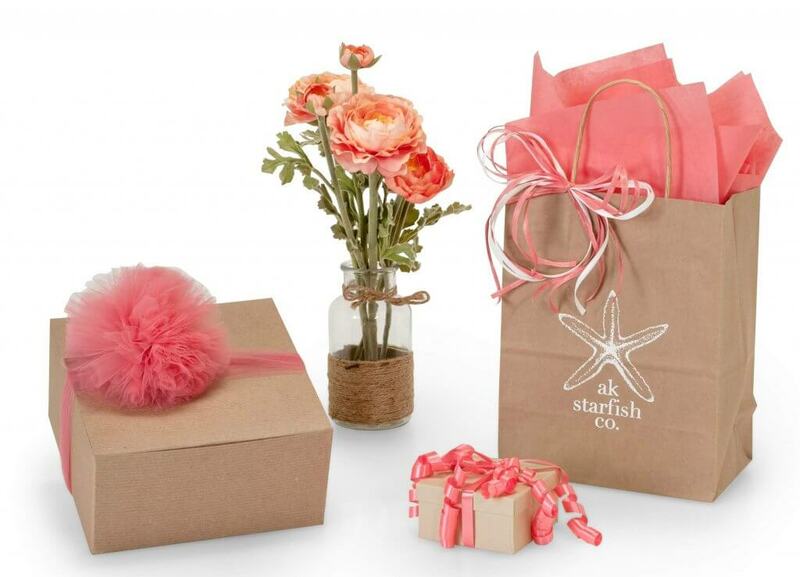 Try adding coral rose tulle to our kraft gift or apparel boxes. You can make a fun tulle pom for special gifts or tie a simple bow for quick and easy gift wrapping. Ahhh…coral and blue – a match made in paradise! Pretty much every shade of blue looks gorgeous with coral. From turquoise to teal and aqua to navy, we have almost every color of bag, tissue paper, wrap and ribbon in various tints of blue. Coral and black complement each other nicely. This classic color combination looks pretty and fresh with our new Farmhouse Favorites Collection. Simply add coral tissue and ribbon to this group and bring on the farmhouse trend. Your shop will be a favorite with customers when you feature all the Farmhouse products including shopping bags, gift wrap, merchandise bags, gable and basket boxes, along with gift cards and tags. We hope these tips will make it easy for you to add this season’s hottest color to your retail store. Who knew a color could be so warm and welcoming?